*Updated 8/18/2015* Our more formal review of Rocket League can be found here. *Updated 7/9/2015* Rocket League has officially launched for PS4 and PC, and it’s facing some major issues on PS4. Servers were non-functional apparently before the launch of the game on North American PSN servers. The single player season and exhibition modes do work, so if you’re still itching to get your fix of Rocket League, the game does work offline. However for myself and many others, the ability to play online has still not fully been resolved. While servers appear to be online with players at the ready, matchmaking can take forever to finally land a match (think Halo MCC’s initial launch issues). I spent about 30 minutes last night trying to get into any of the 4 unranked modes (1v1, 2v2, 3v3, and 4v4) with no success. The only positive about this situation is that the game was free for PS Plus users this month, so you can’t be terribly mad that the game isn’t fully functional, however it does continue the discussion of why new games are coming out with major issues and flaws to them. The Rocket League twitter account has been actively trying to address and inform the community, which I give them props for. That tweet was posted early Thursday morning, and they’ve been working on it since the launch of the game. It should be noted that the PC version ($19.99 on Steam) has over 650 positive reviews and there don’t seem to be any issues on the PC side of things. The game features PC-PS4 cross-play, so if you really can’t get your fill on PS4 and need to play the game, the PC version (while being $20) will allow you to play with your PS4 friends once they fully resolve the server issues. At this point in time (Thursday 7/9) it appears that many people are starting to have better success with finding online matches in Rocket League. 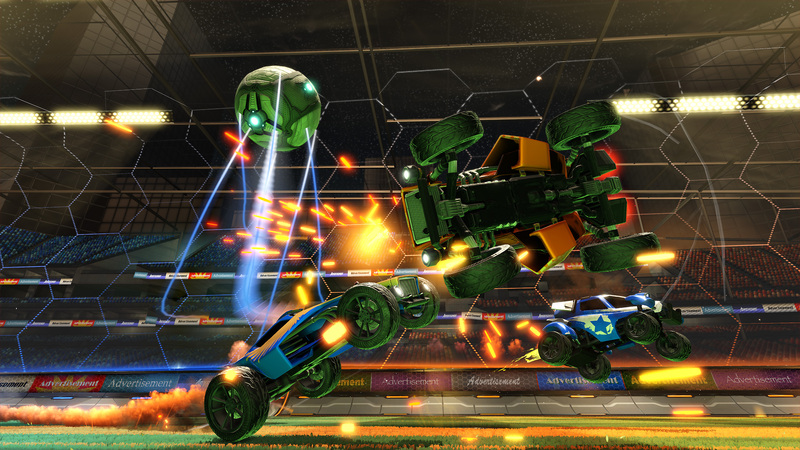 Rocket League is Psyonix Studio’s sequel to Supersonic Acrobatic Rocket-Powered Battle-Cars. In short, you’re RC cars (or rocket cars? whatever.) and you blast around a dome(ish) arena slamming into a giant soccer ball. Goal is to well, get goals against your opponent. It’s just ending a beta today, and I figured I’d summarize my thoughts on the game. The beta had limited options, which were 1v1 matches, 2v2s and 3v3 matches. There is going to be 4v4 matches according to the “Full Features” list that was in-game. I spent all my time in 3v3 matches, mostly because I don’t really see myself playing 2v2 or 1v1 games when it releases. The 3v3 matches are nothing less than INTENSE. Your cars have little boosters and there are little “charge” pads all over the arena that you can pick up to gain a little boost, and 4 full boost pickups at the corners of each map. You can jump, boost, slide and ram your way to a victory, and it’s awesome when you’ve got a team of 3 friends and can voice chat with each other. Setting up shots is awesome, otherwise you’ve gotta rely on a lucky bounce, or a clean hit to goal. Hit an enemy fast enough and you’ll “demolish” them…aka they blow up and you’ve got a few seconds of power play action while they get respawned. You can opt to have one person stay back and play defense, but it’s actually not really necessary to keep one defender as long as you’ve got good communication among the team. Otherwise it’s hard to know what the other two players are doing. According to rumor the game has a pricepoint of under $20 (so $19.99 is a possibility), and I think for what you’re getting that’s a fair price. The pacing of the game is solid, the matches are tons of fun. At 5 minutes each (unless there are future customization options) it’s enough time for 9 goals (the most we ever had total scored) and also enough for a nail biting 1-1 game. Tie games run into overtime with the first goal to win. In short, pretty basic game idea expanding on their PS3 version, but on the PS4 it does well to provide an alternative to the fighting, shooting, and standard adventure games. Brings back the competitive fun in a way that doesn’t involve harming anyone, aside from their pride on a shutout game. – Soccer ball & vehicles fell halfway beneath the field for a second or two. Totally random happenings, didn’t completely screw up the game. – When you looked at the top of the arena from a wide camera angle the background sky did weird clipping with the arena’s hexagonal panels. Again, never interfered with gameplay, and I’m sure it’s just a “in beta” progress thing that’s not finished yet. It’s hard to write a big list of cons at the moment because we know so little about the additional arenas, game modes, or vehicle customization. We know that there will be customization, but whether or not it’s paid customization or unlockables is yet to be seen. Also how customizations will affect game balance as well. 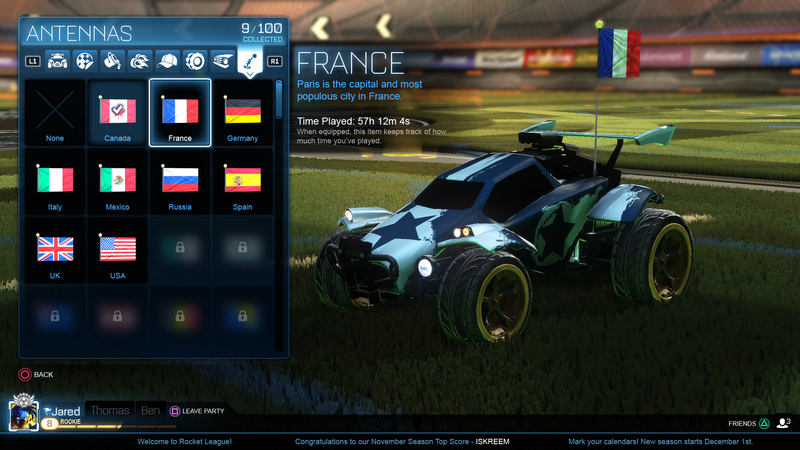 “The Rocket League PlayStation®4 Beta Test has been a massive success! But it’s almost over as we’ll be shutting down the servers this Sunday, May 3 at 10pm Pacific. The good news is that we’ll be holding a SECOND ROUND of Beta Tests in just a few weeks. In that new, upcoming beta, we will continue matchmaking and server tests in addition to a handful of new features. We’ll have more details and dates as we make the approach.